Wentworth Miller Tried to Commit Suicide Before Coming Out: "The First Time I Tried to Kill Myself I Was 15"
While speaking at the Human Rights Campaign gala at the Sheraton Seattle Hotel on Saturday, Miller explained that he overdosed on pills during a weekend where his parents were away from home. 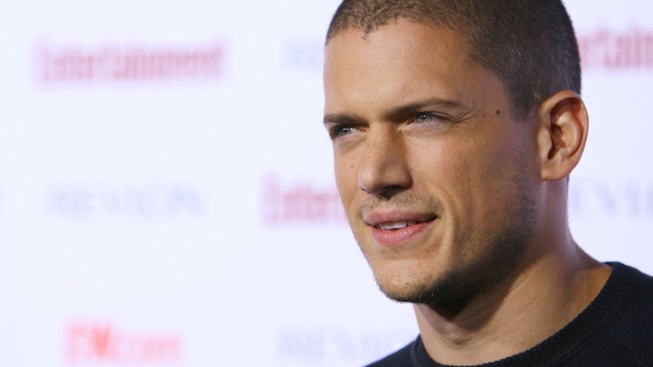 The Prison Break star, who revealed he is a gay man less than a month ago, admitted that he tried to commit suicide as a teenager while trying to come to terms with his sexuality. Wentworth Miller's road to coming out had some very dark moments. "The first time I tried to kill myself I was 15," he said. "I waited until my family went away for the weekend and I was alone in the house and I swallowed a bottle of pills. I don't remember what happened over the next couple days, but I'm pretty sure come Monday morning I was on a bus back to school pretending everything was fine. And when someone asked me if that was a cry for help, I say no, because I told no one." Miller continued, "Growing up I was a target. Speaking the right way, standing the right way, holding your wrist the right way. Every day was a test and there was a thousand ways to fail. A thousand ways to portray yourself to not live up to someone else's standards of what was accepted." The actor also explained that it made him nervous to come out early in his career. "I had multiple opportunities to speak my truth, which is that I was gay, but I chose not to. I was out privately to family and friends--publicly, I was not. "I chose to lie--when I thought about the possibility of coming out, how that might impact me and the career I worked so hard for, I was filled with fear." But Miller overcame that fear in late August, when he publicly revealed his sexuality after being invited to attend a film festival in Russia, where "propaganda of nontraditional sexual relations around minors" and the public discussion of gay rights have been banned. WATCH: Ali Larter says Wentworth Miller is "brave and incredible"
I am deeply troubled by the current attitude toward and treatment of gay men and women by the Russian government," he continued in the letter, posted on GLAAD's website.